Ever since the invention of nonstick pans, the time we spend scrubbing away the stubborn remnants from dishes has reduced drastically. Today, nonstick cookware is an indispensable part of our kitchens. Whether it is to quickly scramble some eggs before flying out the door or cook meats to tenderness, it is the nonstick pans we turn to. Nonstick pans have not just made clean up easier but also cooking healthier, in that they need only little to no oils. But, it can be quite overwhelming to find the right one from the never ending choices in the market. With this review, we make it easier to zero in on the best nonstick pan suited for you by breaking it down product by product, highlighting each of its features, pros and cons. 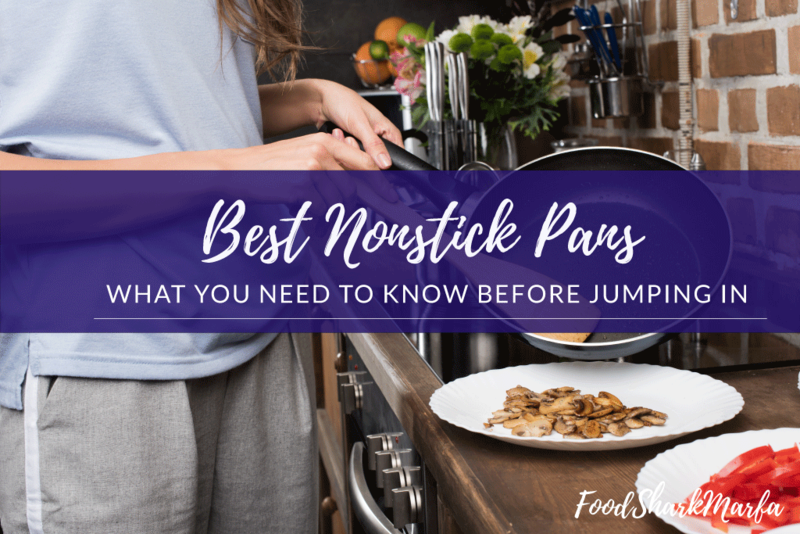 We have compiled this review after studying all the features of the nonstick pans and taking into consideration some crucial factors that make a pan qualify as the best. Safety of the coating surface, performance, durability, ease of cleanup and warranty are some of the top factors that went into consideration in compiling this review. We hope this review helps you make an informed decision that will be worth your money. 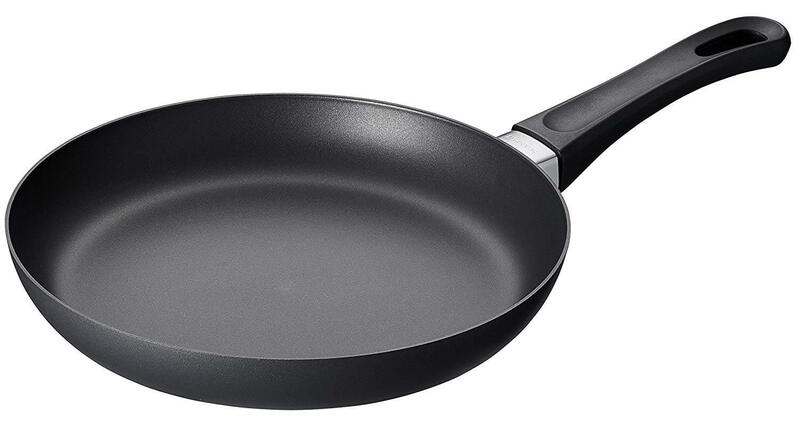 The T-fal B363S3 Specialty Nonstick Omelette Pan Set has a safe PFOA-free coating and the Heat Indicator feature helps to retain full flavor, plus the 3 size pan set covers all cooking needs. The T-fal 2100086427 E93805 Professional Total Nonstick Fry Pan is a professional quality versatile pan, compatible with all cooking modes and is a total steal in the budget segment. T-fal is a global brand that manufactures kitchen and cooking appliances. It is a leader in the non-stick cookware category with its range of innovative non-stick pans. 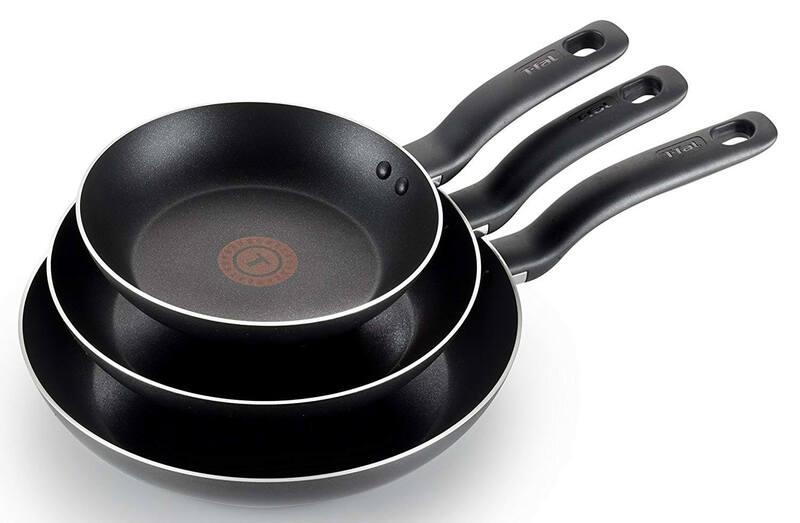 This T-fal non-stick cookware set includes 3 pans in 8 inch, 9.5 inch and 11 inch sizes. Its unique Thermo Spot Heat Indicator is the star feature of the pan that lets users know when the pan is perfectly heated to begin cooking. This feature helps to seal the flavor of the food while cooking. The non-stick coating of the pan is completely free from PFOA, Cadmium and Lead, making it a healthy cookware range. These pans are best suited for frying as well as sautéing and are also oven safe up to 350° F. This is one of the best nonstick pans in the market to make eggs in any form, with or without oil. From T-fal, this is a professional range non-stick pan that is remarkably durable and versatile. The 10.25 inch pan has a wide body that is suitable for searing, browning, frying as well as sautéing. From tortillas to fish fillets you can prepare a wide range of recipes with this versatile fry pan. This pan also contains T-fal's proprietary Thermo-Spot Heat indicator that preps the pan to just the right heat helping to seal the flavors. Compatible with all cooking methods including induction and ceramic cook tops. The ProMetal nonstick interior promises scratch resistance even with metal utensils. It offers easy food release and facilitates effortless clean up. The pan also comes in 2 other sizes of 8 inch and 12.5 inch. Don't mind shelling some extra bucks but want a heavy duty, nonstick pan fit for a professional chef? If yes, then you should definitely check out this offering from Tramontina. The Tramontina Nonstick Fry Pan is an NSF certified restaurant pan designed to meet the rigors of a professional kitchen. The body of the nonstick is built with heavy-gauge, commercial grade aluminum giving it exceptional durability. This sturdy nonstick pan can make work easier for professional chefs with its easy release of foods and cleaning up. This heavy duty pan is also ideal for the home kitchen and is compatible with gas, electric and ceramic cook tops. The pan comes with a Lifetime warranty although it will probably last for years to come. If you are looking for some handy and versatile nonstick cookware, this might be the perfect nonstick pan set for you. With a flat bottom and flared sides this is the perfect pan for tossing foods comfortably chef style. You can also use this pan for recipes that involve browning, searing or frying. Whether you want to cook healthy using less fat or cook at high temperatures with ample oil/fats for developing fuller flavor and a crispy texture, this versatile pan can do it all. The tempered glass lid allows monitoring while cooking at a low temperature for longer durations. Handmade by artisans in Denmark, this Scanpan Classic Fry Pan is a premium offering in nonstick cookware. It combines the old world charm of handmade uniqueness with modern technology. 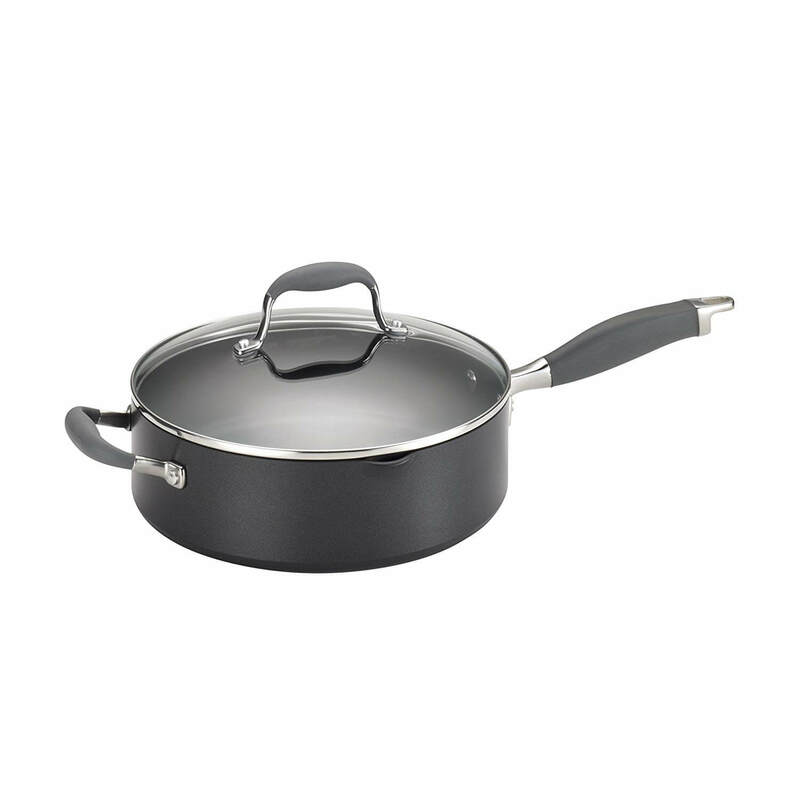 The pan has a ceramic titanium coated nonstick interior that can be used to brown, sear or deglaze efficiently. It can be cleaned up in a snap. The pan packs superior performance in providing effortless release of foods with an attractive, smooth and glossy finish. It is ideal for stove to oven recipes, as it is can be safely used in an oven up to 500° F. Perfect skillet to cook evenly browned crepes or omelettes and simply glide to transfer it to the plate. This multi-purpose nonstick pan from Anolon can be used for varied cooking requirements. From sautéing, deep frying and searing to even braising stews this pan can do it all. The sauté pan with its flat base, deep body and a glass lid also doubles up as a sauce pan to cook a variety of sauces. The pan also has a spout to make pouring out easier and mess-free along with a helper handle. The helper handle comes especially handy to meet the weight of the pan in its full capacity of 4 Quarts. It is ideal for making stews, sauces and gravies. You can sauté the vegetables as well as add liquid and then simmer with the lid on in a single utensil. It is a solid, versatile pan in the premium segment that can make cooking for large families and preparing gourmet meals effortless. With this nonstick pan from All-Clad you get the strength and durability of the stainless steel along with the heat conductive nature of aluminum in one utensil. This pan has a flat base and sloped sides making it ideal for tossing while you can also use it to sear, brown or pan fry. The 3 layer nonstick coating ensures food does not stick to the surface. The nonstick skillet is safe for cooking as it is free from harsh chemicals and PFOA. The Tri Ply Bonded heavy-duty nonstick pan is also ideal for use in restaurant kitchens as it has a long handle specifically designed for the underhand grip of chefs. If you are in the mood to splurge, this high end offering from All-Clad could be your best investment in nonstick cookware. If you're someone concerned with the PTFE nonstick coatings and looking for an organic alternative, this could be the right nonstick pan for you. The non toxic, ceramic coating is fast catching up as an alternative to conventional nonstick pans leaning towards changing customer preferences. The smooth ceramic coating is natural, free from chemicals and also healthy as it can cook with little to no oils/fats. Just like the conventional nonstick surfaces, the ceramic surface too releases foods freely. Cleaning it is easy and can simply be washed under running water with a sponge. This Cuisinart Open Skillet is a visually appealing pan that combines aesthetic appeal and performance in just the right balance. A Nonstick Pan is a staple in almost every kitchen, something you might need to use every day for years to come. So before buying the product, it is important to consider some factors to choose the nonstick pan suited for your needs. Depending on your mode of cooking to health conditions and other criteria these factors may vary for every household. Let's take a look at some of the things you should consider before making the buy. The material of the nonstick coating has come under serious scrutiny in recent years for its potential health and environmental hazards. 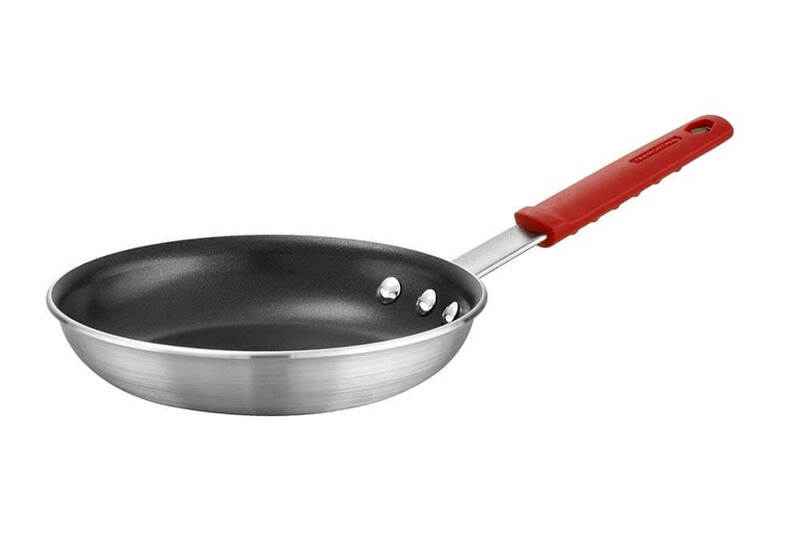 PFOA or Perfluorooctanoic acid is a chemical widely used in the coating surface of nonstick pans for its ability to provide a friction free surface. Although it is present in very small amounts in nonstick cookware, research conducted on lab animals suggests that exposure to the chemical can cause tumors and other problems. So it is important to ensure your nonstick pan coating is free from the potentially harmful PFOA. Also look the label for Lead-free and Cadmium-free coatings. Ceramic is another material now prevalently used in nonstick coating for its inorganic properties. The mode of cooking varies from household to household, while some may cook in gas ranges, some others use induction cook tops to prepare their meals. Almost all nonstick pans can be used on gas ranges. In case, you use an induction stove or ceramic cook top at your home make sure the nonstick pan is compatible with it. Some nonstick pans are even oven safe for using in home ovens up to a certain temperature. Also some nonstick pans may cook just fine with zero fats/oils while you may need to use a little oil in other types. Depending on your health preferences, this should be part of your criteria to choose. Similarly, not all recipes can be prepared on one type of nonstick pan. Whether you want to sear, sauté, roast, brown or fry there is a different type of nonstick pan for each use. These come in varying in sizes, shapes, base metal and coating surface. Durability is another important factor to consider before making a purchase. Almost all nonstick pans come with a warranty ranging from one year to a lifetime warranty. Depending on your usage needs, one can easily choose the right product. Lids, utensils and dishwasher safety are other things to look for depending on your cooking and cleaning methods. In some nonstick pans the nonstick coating may wear off sooner than expected requiring frequent servicing or in some cases, even replacement. But this can be avoided by employing the right usage and care for the product. A good nonstick pan can make cooking as well as cleaning effortless and time-saving. Kitchen rush? You can simply wipe your pan off with a paper towel and you are good to start the next dish. If you're a health conscious individual looking to cut down your Trans fat consumption, a nonstick pan can also help you do it by letting you cook with less or even no oil. Nonstick cookware considerably brings down the calories we consume from using fats to cook only to prevent the food from sticking to the utensil. With nonstick pans you also don't have to deal with half your food (think scrambled eggs) sticking to the utensil. All the more reasons to make the buy! Each of these nonstick pans have their own unique features that make them stand out, so you can choose one that fits your criteria best. Whether you are looking for high end offering with premium features or one with optimal performance that fits your budget, this detailed review has covered all types of products. So, have you decided which would be the best nonstick pan that will fit your requirements? If not, read on to find out what we recommend after conducting a thorough study of each product and its features.